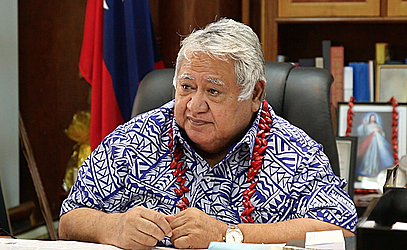 (Cabinet Release) Prime Minister, Tuilaepa Sailele Malielegaoi was in New York for the United Nations High-level Political Forum on Sustainable Development. The report from the forum was approved in Cabinet. This forum focuses on the world's action to Save Our Ocean. Held in New York on 5 - 9 June 2017, Tuilaepa was accompanied by the Ministry of Foreign Affairs C.E.O. Peseta Noumea Simi and Samoa's Ambassador in New York, Aliioaiga Feturi Elisaia. This is the first international meeting toward the implementation of Goal 14 of the 17 Sustainable Development Goals. About 6000 participants were engaged in discussions and deliberations at the meeting to find ways to combat the challenges and problems in preserving our oceans. The Governments of Fiji and Sweden co-hosted the meeting. • Political call for action, Partnership dialogue and voluntary commitments by countries for the implementation of Goal 14. • Emphasis on small island states with many people living on the coastal areas and the impacts of their livelihoods from the negative impacts on oceans. Records show that 200 million people in the world depend on oceans for living. • The Pacific's stand at the meeting was firm and also the support for the Government of Fiji in co chairing the meeting. 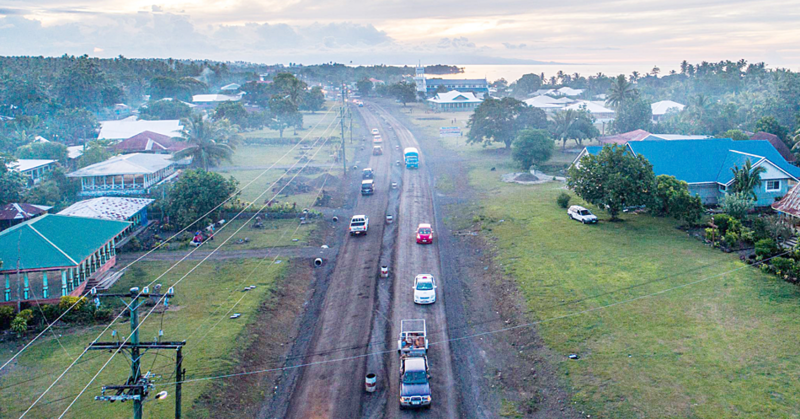 Cabinet has approved the awarding of contract to the Otto Constructors Co Ltd for the construction of interim runway repairs for the Faleolo International Airport. The tender was advertised for public interest and three contractors submitted bids. The Sub Committee conducted an assessment according to the tender's technical specifications before a recommendation was submitted to Cabinet for the final decision. Cabinet has approved the report on the negotiations and promoting of Samoa's fresh green bananas and the Samoan fresh frozen talo overseas. 1. Negotiations and promoting of Samoa' fresh green bananas and fresh frozen Samoan talo in New Zealand markets on 11 May 2017. • Samoa's frozen talo are now sold to New Zealand markets since the quality and taste is maintained up to six months. The fumigated talo was a method previously used but it lessens the quality and taste of Samoan talo if left unused for months. 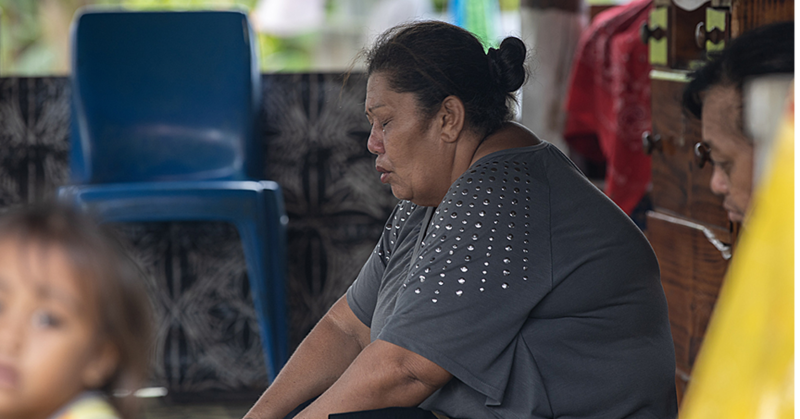 securing markets for the Samoan frozen talo in New Zealand. • The delegation also met with companies like New Zealand Importer Fresh Direct and Mellow Foods to negotiate appropriate prices for our local farmers. 2. Promoting Samoa's fresh and frozen talo in Brisbane Australia on 12th May. • The Samoa fresh and frozen talo is now allowed to be imported and sold in Australia. There is also an increase demand for this talo in Sydney, Brisbane with the intention of selling it in Melbourne soon. 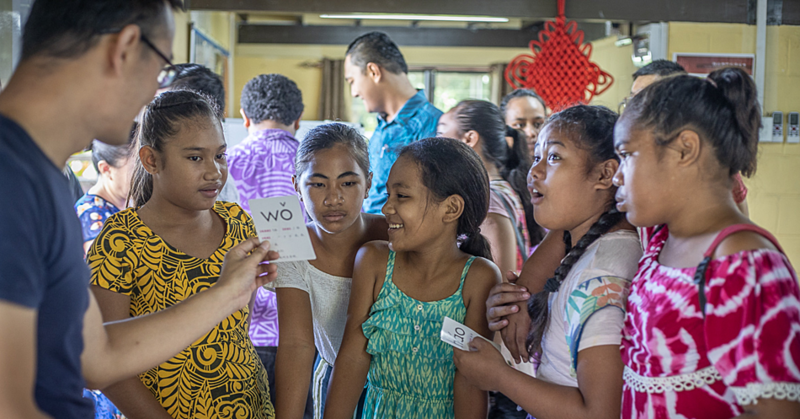 • The Minister of Agriculture also attended a promotion for the talo Samoa in Queensland where many Samoans attended. • Samoa's delegation also met with the business community who have an interest in importing the Samoan frozen talo into Queensland. The delegation also held discussions with interested businesses in Sydney who are willing to import the Samoan frozen talo. The trip was an initiative by the Government in support of our local farmers in securing overseas market for their food products such as fresh frozen talo and fresh bananas.